I don’t know about you, but I’m worried. The economic cycle is long in the tooth. Equity valuations are stretched. The yield curve is flattening. Emerging markets and other liquidity-sensitive markets are sagging. The Federal Reserve is raising rates while also attempting the never-before-accomplished feat of reversing a decade of quantitative easing - seemingly oblivious to the hornet’s nest they are walking into. And President Trump seems determined to antagonize as many trading partners as possible before the summer holidays begin in earnest. Against this backdrop, memories of the 2015 flash crash keep racing to the front of my brain. I try, but I can’t shake the image of a low-liquidity panicky sell-off in thin summertime conditions. 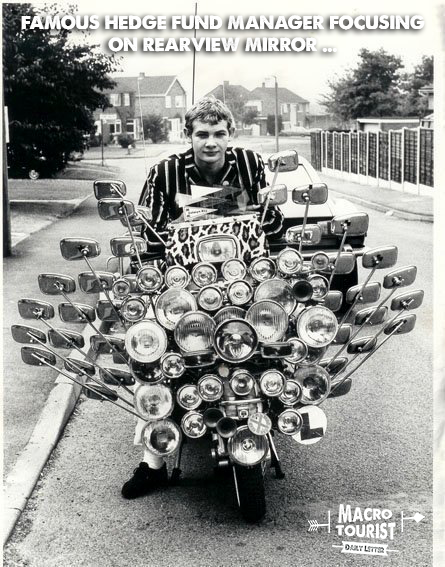 Those were just the monthly return figures. The actual trading from August 2015 is even more frightening looking. The S&P 500 futures fell 12% - from 2100 to an ugly tick at 1840. To make matters worse for my worries, some really sharp strategists are sounding the alarm bell. Gluskin Sheff’s David Rosenberg has been making a pervasive argument that we are late-cycle, and risk should be taken off the table. Yup, it sure seems like taking out a stack of pink tickets and leaning on the sell button is the right call. I can’t remember a time where it has all lined up so perfectly on the short side. Although every bone in my body wants to sell this market. I … (and I can’t believe I am writing this)… am petrified this trade is so obvious, it can’t be right. I cannot recall a recent time when there has been such a consensus about the near-term outlook for risk assets. Everyone is bearish. Ok, maybe that’s an exaggeration, but throw out all the perma-bulls or perma-bears - those guys are useless anyways because their forecast never changes. The bears’ scenario is well-reasoned and seems like the correct way to place your bets. Yet since when has the market ever lined up so neatly with fundamentals? I hate myself for saying this, but I don’t think the Market Gods will allow this many to catch the top. 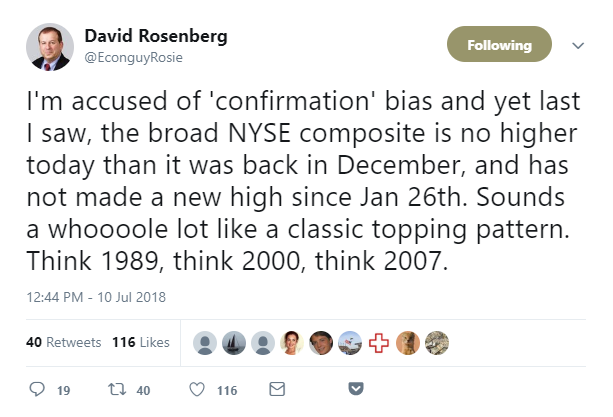 Markets don’t roll over with the vast majority of market participants calling for a correction. 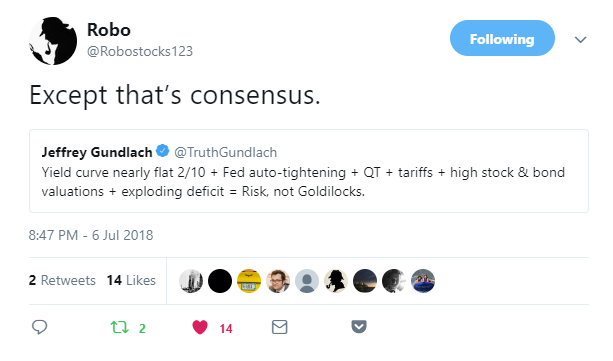 No, they top with buyers being absolutely convinced the only way is up. And I just don’t see that sort exuberance. Yeah, sure, the FANG stocks might be a little frothy. And there is little doubt that marijuana investors have been smoking too much of their product. But for every raging bull, there is an equally fervent bear trying to catch the next big break. This doesn’t feel like the sort of bubbly, stocks-must-only-go-up environment that would accompany a major equity top. If anything, it just feels like the wall of worry is growing bigger and giving the market more fuel to rise. Don’t bother sending me emails about the inevitability of a big decline - I get it. I am not disputing the dangers in this market. Yet I still think the real future disaster lies in the bond market - not the stock market. I look at the current environment and it reminds me of 1987. Although at that time I was more interested in the latest New Order 12” than the stock market, I have been fascinated by this period in market history. 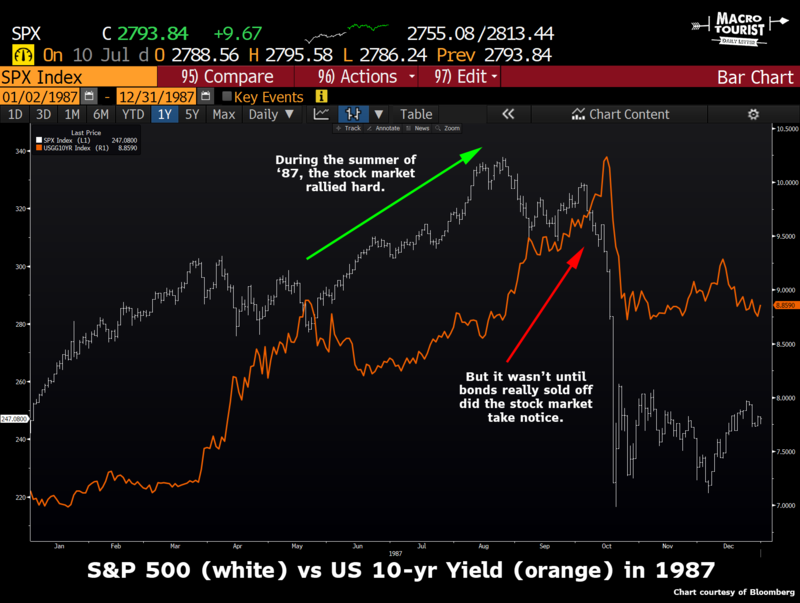 During the summer of 1987, the stock market rallied 17.5% while the 10-year US Treasury yield was stuck in a trading range between 8.25% and 8.90%. 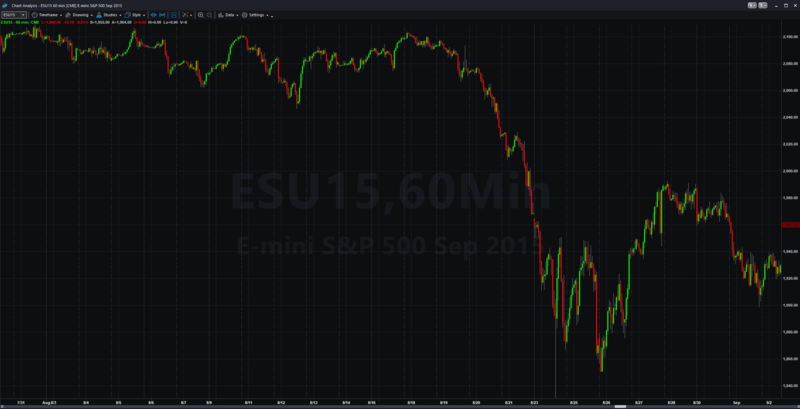 It wasn’t until the bond market sold off hard in September, with the 10-year yield rising from 9% to 10.25% in less than two months, that the stock market finally went down. 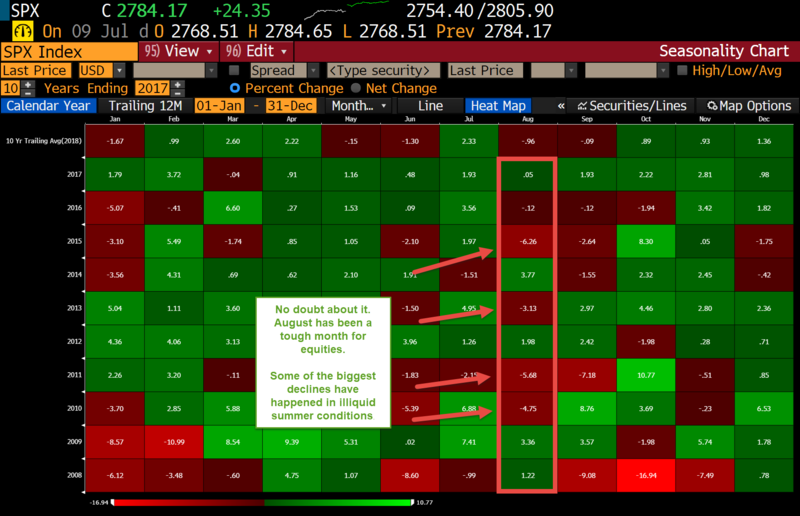 The point to remember is that the stock market was less than one calendar quarter away from the biggest one day decline in history, but any shorts would have had to sit through an almost 20% rise before realizing the gains from their bearish call. It wouldn’t surprise me if this summer ends up looking like 1987. After all - have you heard the music the kids are listening to these days? Some of the bands look (and sound) like New Order reincarnated. 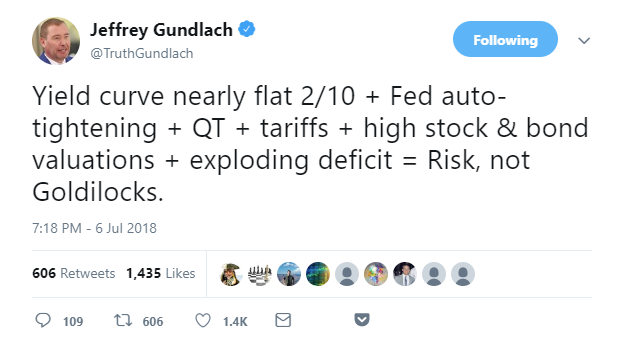 Although I am worried the moment I bare my soul about my lack in faith of any meaningful dip happening soon the Rosenberg-Gundlach decline will begin, I can’t help but lay it out on the table. I know all the reasons why the stock market should go down. The investor in me agrees 100% with the skeptics who worry we are late-cycle and that risks are rising. But the trader in me is even more concerned that everyone is already positioned for this outcome. Markets often go where they will hurt the most and make the majority look foolish. That path is higher - not lower.